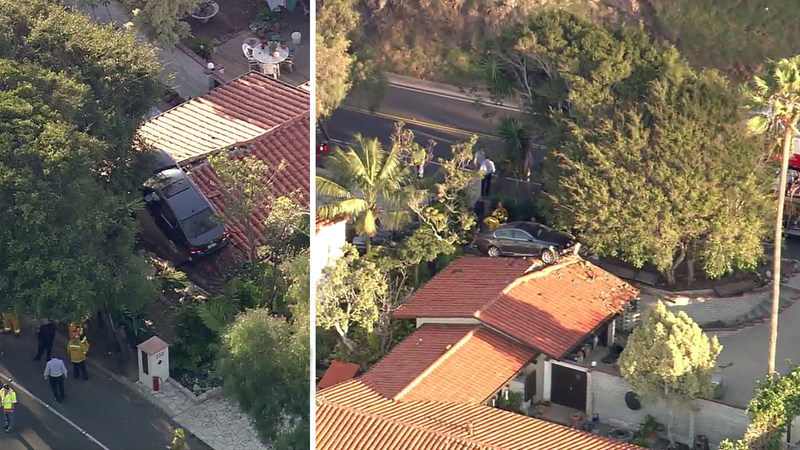 PALOS VERDES ESTATES, Calif. -- An out-of-control car landed on the roof of a home in Palos Verdes Estates on Wednesday. Officials said the four-door Lexus appeared to have driven off the road in the 500 block of Palos Verdes Drive West. After exiting the road, officials said the car went down a driveway where it hit a car before landing and coming to a rest on the roof. Officials said the driver of the crash suffered injuries, but described them as non-critical injuries.